Look, it's a mini-series. 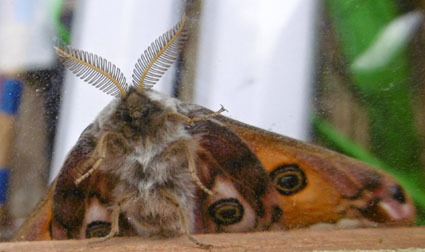 The last post showed my friend Kate, her mobile 'phone and the largest moth in the world. Here's the hand of my niece Annie, her mobile and my mole. It was a mole. For all its apparent perfection, it is actually an ex-mole. We found it on a lovely walk today to honour my sister Tessa's birthday, from Pateley Bridge to the Sportsman's Arms in Wath-in-Nidderdale (just the best pub) and back. There was no sign of the cause of death. Could it have been old age? Here it is again with Tessa's dog Kipper. We were with various other members of our vast family, including my older sister Hilary who edits this interesting magazine. The last time that Hil, Tess and I saw a mole together was when I was about six and we were at a bus stop in Tinshill Road, Leeds. 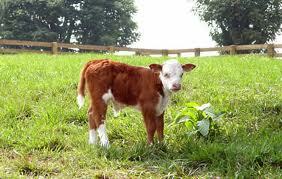 A mole appeared in the field alongside (now houses) and a woman at the bus stop told us it was a baby cow. Whoops, I'm at it again. Must be the warm weather - we're heading for the mildest November in 363 years. Fact. I'm not trapping, though, just passing on these fine pics from a friend of mine Kate Dundas, who is out in Borneo and - VERY lucky woman - saw this Great Atlas moth alive and snoozing. Here it is, plus a reflection of Kate in her mobile phone, neat eh? This is the biggest moth in the world; and I have one! Yes. It is dead, I have to admit. My old primary school teacher Miss Cynthia, aka Cynthia Harvey of St Agnes school in Headingley, Leeds, brought it back from Malaya in the 1950s and gave it to me many years later when she realised that I was seriously interested in butterflies and moths. Here it is from a past blogpost in 2008, the debut year of this long and winding journal. I would have compared it to a London bus but didn't have one - just this souvenir from New York. Now I will return to hibernation (although I will be back soon with more Americana: the Invasion of the Terrible Black Ladybirds). 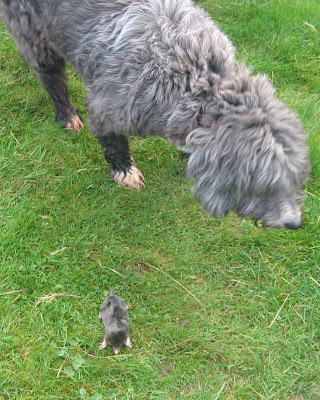 Hello again - I have emerged briefly from my hibernation (or what in the case of water voles, I have discovered is called 'torpor'), initially with a completely selfish aim in mind. This is to plug the latest product from Wainwright publications - 'The English Village', which has been very tastefully produced by Michael O'Mara (publishers of all those famous Lady Di exposes). It makes an ideal Christmas present, hem hem. 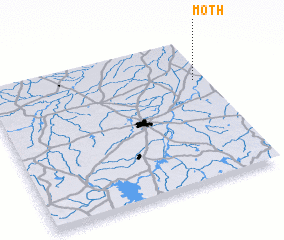 To disguise this blatant self-promotion, I typed 'moth' and 'village' into Google and, lo and behold!, as happens in this interconnected world, up came a Load of Interesting Facts. Pre-eminent among them is a Wikipedia page on a village actually called Moth (see interesting 3D map below from this website but do so in the context of Wikipedia's map which unfortunately doesn't wholly drag across). Do click on the link as it written charmingly in what you might call Indian English and includes the following memorable juxtaposition. The author writes enthusiastically about the food of Moth, a name created by us Brits via our customary hopeless attempts to pronounce the real, local word, and ends by saying: In summer the speciality is Kulfi of Moth made by Milkiram; it is the tastiest kulfi that you can get for two rupees anywhere in the world In its customary deadpan way, Wikipedia adds: Citation needed. I shall make it my business to visit Moth before I die, and email Wikipedia with the proof, if I find it.